Deep City’s unique brand of indie pop makes this EP one of our instant favourites of 2017. 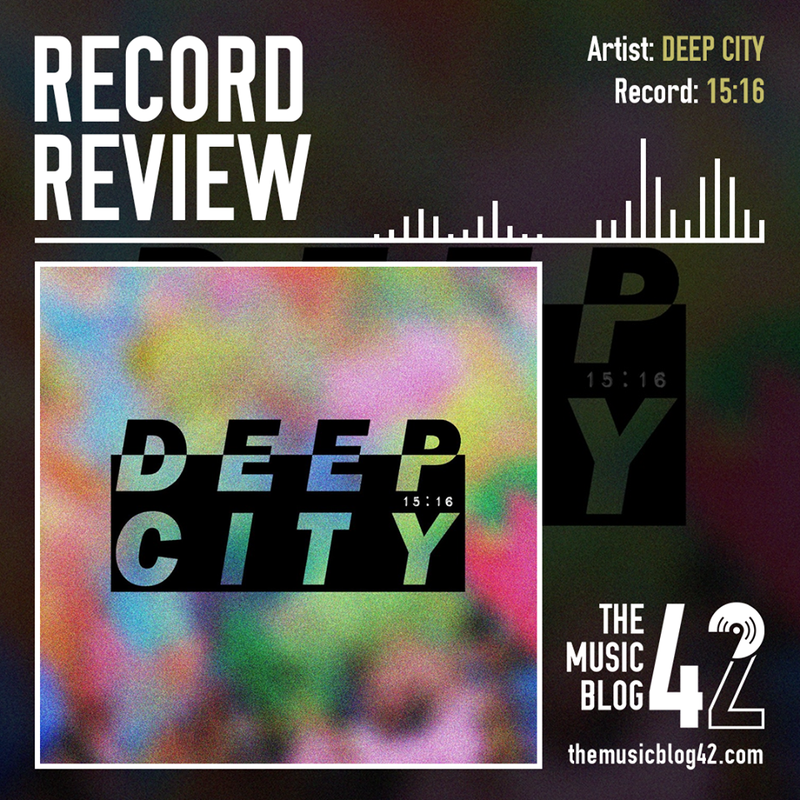 A cooling presence on a marginally rock-dominated music scene in East Anglia, Deep City’s fine talents in crafting mesmerisingly class indie pop tracks has gained many plaudits over the past few years. The band this year won the 18 and Under Award at the NMG Awards, and it’s no surprise why after listening to 15:16. The three tracks on this EP are some of the best tracks you’ll hear this year. The lead track L.O.V.E is just outstanding, the multiple layers to the track’s production just oozes with creativity and maturity. The intricate guitar riffs really catches the ear and just makes the song as a whole just that extra bit better. There’s so much more I could say about the track, without a doubt one of my songs of the year. The EP opener Time has a really cool summer vibe to it. Once again, the guitar riffs really shine on this track, especially during he instrumentals. They really blend with the other elements to the track and doesn’t detract away from the vocals. The same can be said for Recognise Me, a track with a real smooth groove to it. First impressions led me to A Change of Heart by The 1975, and take that as a huge compliment, it’s an awesome track. Although slightly stripped back compared to the other two songs on the EP, here we see the vocals shine more, standing out against the wandering guitars. A welcome end to a class EP. 2018 is a big year for the band. BurySOUND awaits them on the 26th January for Heat 1, and they’re bound to follow up this EP with more music! A band you need to look out for! Deep City play Heat 1 of BurySOUND @ The Hunter Club on 26th January! Tickets £5! Be there and support local, live music!